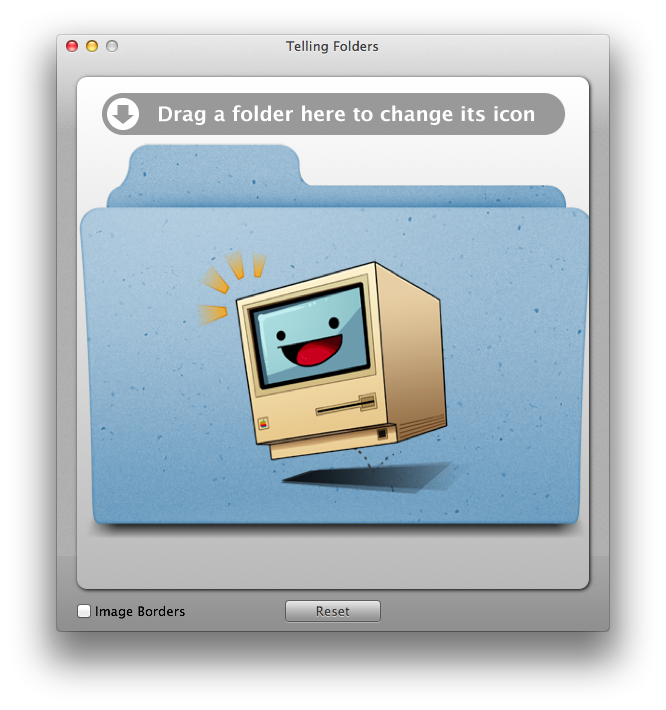 Telling Folder an application for Mac OS X allows you to create beautiful custom folder icons. 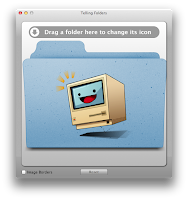 Just start with the standard folder icon, drop an image to stamp on top and then a folder to apply the new icon to. 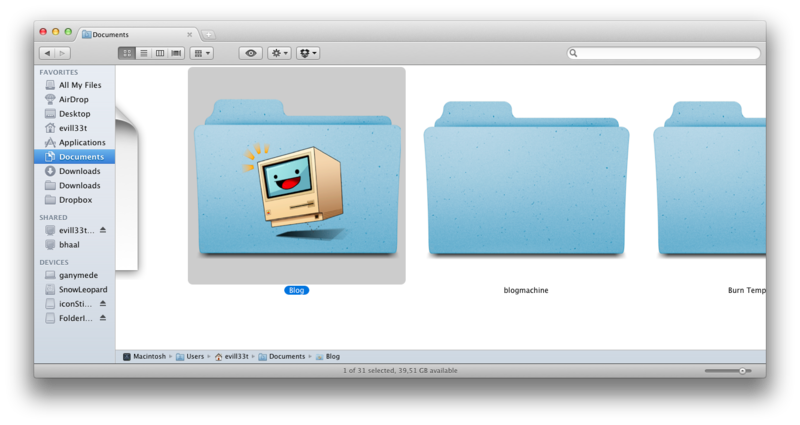 Adding customized icons to a folder as easy as its gets. 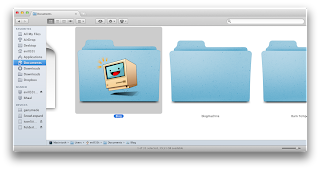 Up to version 1.1 the application used to be freeware, now it costs 1,99$ at the Mac App-Store (only difference i can see is a new emboss mode). Buy 1.3 at the App-Store.